Ted on the cover of Rolling Stone. 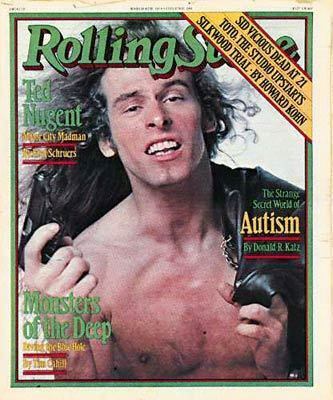 Ted Nugent on the cover of Rolling Stone - March 8, 1979. Wallpaper and background images in the Ted Nugent club tagged: ted nugent image picture magazine cover rolling stone march 1979.